FortiAP outdoor WLAN access points are ruggedized products designed for installation in harsh physical environments. 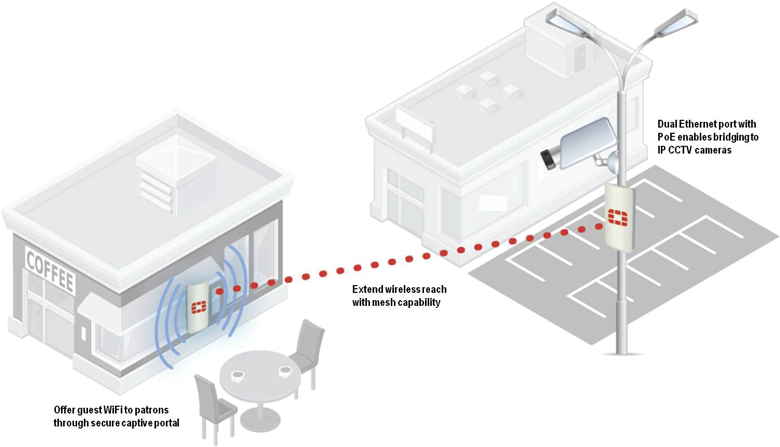 Outdoor FortiAPs can provide outdoor access to clients when deployed in AP mode, or they can be used as a wireless mesh client to enabling bridging or point-to-multipoint coverage for large outdoor areas. Some models are equipped with external antenna connectors to support the use of directional or panel antennas and dual-port models feature PoE pass-through to power IP CCTV cameras. 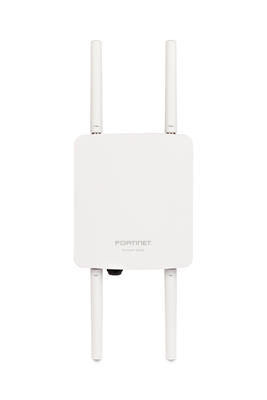 The FortiAP 112B is an entry-level 802.11n outdoor AP, designed for outdoor deployments with a low client density. The AP is powered by PoE, but also features a spare Ethernet port supporting PoE-PS, which can be used to both bridge and power an outdoor IP CCTV camera, such as Fortinet's FortiCam. 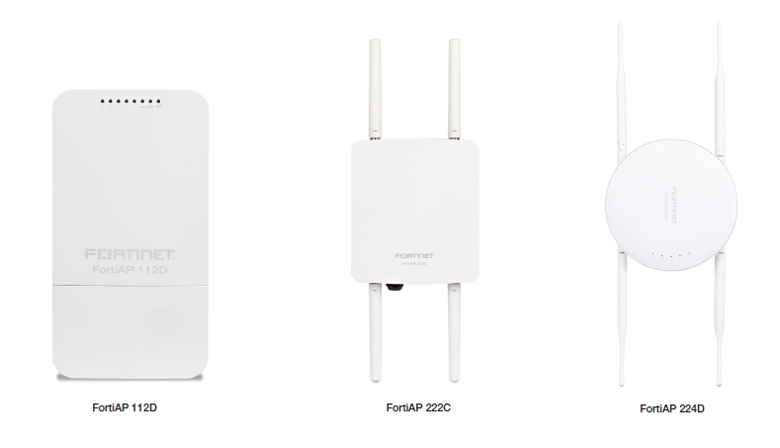 Just like all FortiAP products, this versatile AP can be configured to operate in AP mode, Mesh mode, Bridge Mode, or as a remote AP if required. The FortiAP 222C is a high-performance dual-band 2x2 MIMO 802.11ac technology AP, supporting 80 MHz channel width, to achieve a 280% throughput improvement over an 802.11n equivalent. Designed in a ruggedized IP67-rated enclosure and capable of withstanding extended temperature ranges, this AP is suitable for deployment in the most harsh conditions, like oil rigs, utility substations and outdoor stadiums. The N-type antenna connectors also make this AP suitable for use with high-quality external antennas for long-distance and mission-critical bridging or mesh deployments. The FortiAP 224D is an 802.11n outdoor AP designed for medium density outdoor applications, like municipal WiFi or outdoor school environments. The IP66-rated enclosure protects the AP from the normal weather conditions you would expect outdoors and the RP-SMA antenna connections support the connection of external directional or panel antennas for extended coverage in challenging locations. Download the Fortinet FortiAP Outdoor Series Datasheet (PDF).